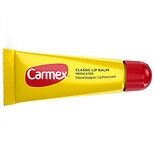 Shop Carmex Moisturizing Lip Balm (.35 oz. ).35 oz. 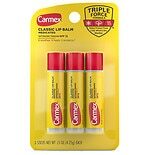 $169$1 and 69 cents$4.83 / oz. 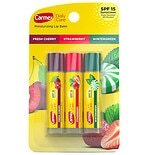 Shop Carmex Moisturizing Lip Balm (.25 oz. ).25 oz. 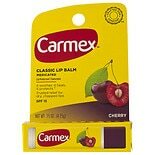 Shop Carmex Moisturizing Lip Balm Stick SPF 15 Cherry (.15 oz. ).15 oz. $169$1 and 69 cents$11.27 / oz. 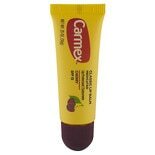 Shop Carmex Moisturizing Lip Balm Tube, SPF 15 Cherry (.35 oz. 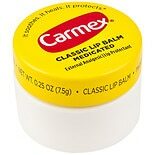 ).35 oz.